For children, low-level adversity comes in the form of general everyday stress such as disappointing results or challenges at school, home or in social situations. Whereas major adversity is caused by more severe stress due to issues such as bullying, learning difficulties or mental health issues. It’s clear that children do suffer significant stress from adverse events, and possibly even more so now than ever before. For one thing, academic pressure has increased a great deal, and starts at a younger age. Social media has also dramatically changed the way we socialise and communicate – and can have very negative effects on children’s confidence and mental health. To make matters worse, 65% of adolescents will not actively seek help for mental health issues. Which is why early intervention and prevention leads to the best outcomes. And since resilience enables us to positively and productively overcome obstacles in life? Developing greater resilience in children makes a lot of sense. But why are some people “naturally resilient”? Another developmental psychologist, Emmy Werner, discovered a number of predictors for resilience. Sometimes resilience can develop from environmental circumstances, like a strong bond with a supportive caregiver. For example, a parent, teacher, or other mentor figure. But Werner also found that resilient children tend to have an “internal locus of control”. Basically, resilient children tend to view themselves as being in control of their own destiny. Clinical psychologist, George Bannano, also found that perception plays a huge role. Bannano claims that “events are not traumatic until we experience them as traumatic”. In other words, a non-resilient person tends to view a stressful event as traumatic (and expects it to have a negative impact). While on the other hand, a resilient person tends to perceive a stressful event as an opportunity to learn and grow. So can resilience be taught? Well, the good news is we now know that resilience is not fixed at birth. So yes – it can be learned at home, at school or in counselling sessions with a skilled psychologist. Schools are finally realising the importance of fostering good mental health in students. And a huge part of that involves developing resilience. For example, Victorian schools are actively incorporating resilience-building programs and activities into the curriculum. By engaging staff, students and parents in evidence-based approaches these programs aim to increase resilience and support good mental health in schools. How can parents help kids become more resilient? It might not always feel like it (!) but parents can have a HUGE impact on children’s development – including their resilience. One of the best things you can do is encourage a “growth mindset”. What exactly is a “growth mindset”? Someone with a growth mindset will view all of their efforts to study and learn the material for the exam as being a valuable process in and of itself. They see it as a positive opportunity to learn, develop new skills and grow – regardless of the grade they receive at the end of it. But they are much better equipped to brush it off as a temporary setback. On the other hand, someone with a “fixed mindset” will view their study as being “pointless”, “futile” or “of no real value” if they don’t achieve a specific result on the exam. And they are far more likely to give up and not make an effort next time. In other words, by changing our mindset, we can reframe the entire concept of “failure”! And in doing so, we automatically become more resilient to setbacks and disappointments. So how can you help you child to develop a growth mindset? The easiest way is to mainly focus on (and reward them for) the effort they apply. And focus much less on the outcome. And demonstrate this with your own actions! Over time, helping children view adverse events in a more positive way changes how they respond to these events. According to George Bonanno, we can “make ourselves more or less vulnerable by how we think about things”. This is a vital life skill and is more than simply “looking on the bright side”. For example, if a child gets a disappointing grade this can help reveal which areas they need to work on more – so they know how to improve next time. Instead, frame adversity as a challenge, and you become more flexible and able to deal with it, move on, learn from it, and grow. Naturally resilient people are inclined to take this approach to explaining events, to themselves and others. But it’s a skill that can be taught. And has been shown to make people more “psychologically successful” (i.e. resilient) and less prone to depression. It’s about simply noticing negative thoughts as they occur and accepting them as merely “thoughts”, without judging them or trying to stop them. Meditation and mindfulness can help develop this skill. But if children learn to simply notice and then “let go” of negative thoughts without attaching any special meaning to those thoughts? They can dramatically reduce the stress they experience from adverse events. People who feel grateful experience more life satisfaction than those who don’t. And, unlike some skills, it’s easy to practice being grateful! What was something funny that happened today? What was something that made them happy? What was something that made them feel special? And by becoming more aware of things to be thankful for, even small things? We automatically focus less on the bad things. And, in turn, we suffer less stress from them when they occur. And how do psychologists help children become more resilient? The exact approach depends on the age, issues and personality of the child as well as the therapeutic approach of the psychologist. But we generally do not recommend abstract “talk therapy” for most kids. Instead, we find that children benefit from a more practical, skills-based approach. Our aim is to equip them with strategies and “life skills” to cope with adversity, build resilience and learn how thrive. Learning how to to become more aware and accepting of challenging thoughts and emotions. Learning how to replace unhelpful thinking patterns (such as excessively negative, unrealistic or critical thoughts) with more realistic, practical and helpful thoughts. Role plays and active learning methods to deal with specific challenging situations. Our general philosophy is to help kids and parents become more empowered and motivated to make the necessary changes to reach their full potential. Resilience helps children reduce the stressful impact of everyday minor challenges AND major challenges. 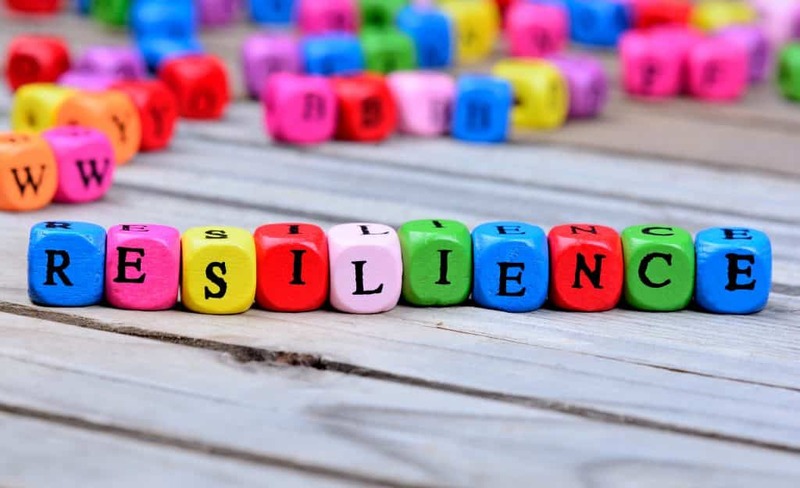 Resilience can – and should – be taught to children. Many schools are now making an effort to teach resilience. But parents can have an even greater impact and we have listed four ways you can help. And if you think your son or daughter may benefit from some expert help with developing resilience? Click here to book your initial parent consultation and get the right advice for your child’s needs.